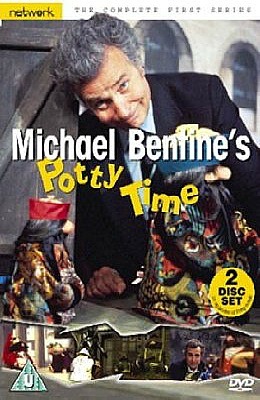 Michael Bentine's Potty Time was a zany, politically incorrect show ran from 1973 to 1980 and featured peculiar, faceless puppets with beards - you only ever saw their huge noses! The storyline usually had an historical theme and Michael Bentine provided the voices and designed the characters. The puppets were created by the Barry Smith Theatre Of Puppets. As well as clips from Potty Time, the playlist above also features clips from other TV shows such as It's A Square World and The Bumblies, as well as several interviews. Here's an actual episode from the show (there are very few around) which has a much clearer picture - it's called Treasure Island and includes the closing titles. When the second World War ended, the British comic actor started his showbiz career by working at the Windmill Theatre in London. There he met Harry Secombe, with whom he co-founded a radio series called The Goon Show along with Spike Milligan and Peter Sellers. 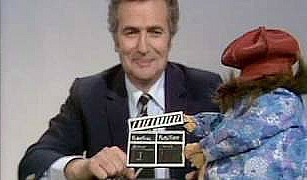 During the 50s, Bentine devised and presented a TV puppet show called The Bumblies, and in the 1960s he devised a BAFTA-winning TV series called It's A Square World. He has also written numerous, best-selling novels and non-fiction books. 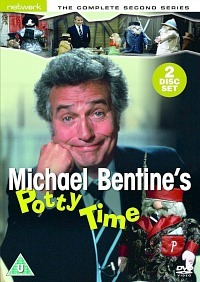 Sadly, Michael Bentine died in 1996 from prostate cancer. Just before his death in 1995 he received a CBE from the Queen. Penned by Michael Bentine and Robert Hartford-Davis, and released in 1966, this comedy film featured an array of well-known comedy actors including Harry H. Corbett, Norman Wisdom and Bernard Cribbins. 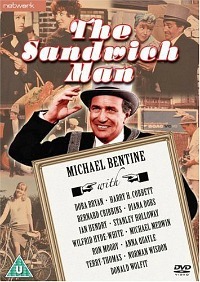 Bentine also played the lead role as Horace Quilby, a sandwich-board man who encounters many eccentric characters during a day working in London. The film now has cult status, although many critics gave it less than favourable reviews at the time.